Pitchfork has reported that legendary indie-folk band the Mountain Goats are going to be featured on a brand-new podcast entitled “I Only Listen to the Mountain Goats.” The podcast features host Joseph Fink talking with Mountain Goats frontman John Darnielle about the band’s music, with the first season focusing on the group’s 2000 album All Hail West Texas, with each episode devoted to a different song on that album. Every episode will feature a different artist covering a song from the album with artists such as Against Me!’s Laura Jane Grace, Andrew Bird, Amanda Palmer, and Craig Finn all contributing to the project. The first episode of the podcast is up, focusing on the song “The Best Ever Death Metal Band in Denton” with Laura Jane Grace covering the track. All Hail West Texas marked a turning point for the Mountain Goats in that it was the final recording to feature only Darnielle and the last to be recorded on his Panasonic RX-FT500 boombox, which helped produce the band’s signature lo-fi indie sound. Twenty years after their formation the Mountain Goats continue to produce quality music and tour around the world, with their recently released record Goths earning them plenty of critical acclaim. Their fanbase remains as devoted as ever and their live shows have become the stuff of legend in recent times. 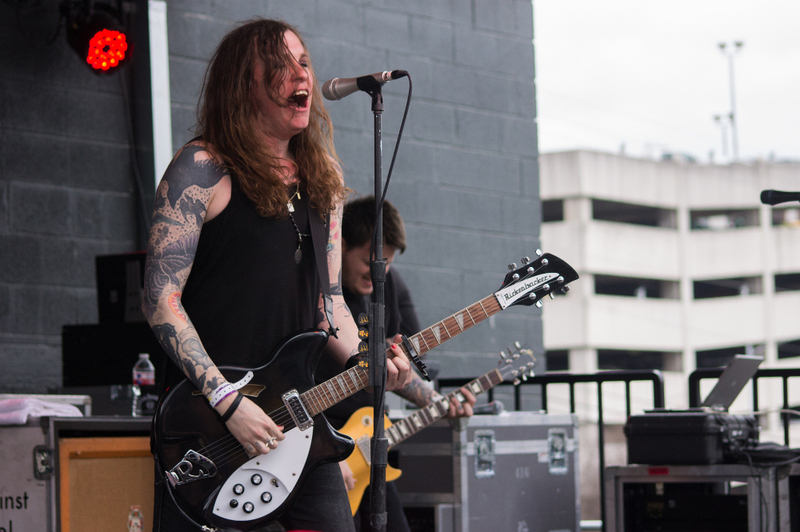 Laura Jane Grace has continued to front Against Me!, with the group releasing a strong collection of songs in the form of 2016’s Shape Shift With Me. Earlier this year Grace appeared on the Alternative Press awards show where she received the prestigious APMA Icon Award. Against Me! are currently in the midst of a large-scale fall tour of North America that started at the beginning of this month and runs through the end of October. You can check out Laura Jane Grace’s cover of “The Best Ever Death Metal Band in Denton” in the player below.